CardsChat.com is your connection to the top real money tablet poker apps for online players. These are the types of sites where savvy players can compete in lucrative tournaments, take advantage of schools of fish, and enjoy generous promotions and bonuses. Play on your tablet with your real money online poker app wherever you may be. You'll be able to find cash games, sit and goes, and tournaments 24/7. If you like to play online, tablet poker games are readily available to you. The experienced and knowledgeable staff at CardsChat.com has evaluated and tested the most popular online poker rooms, providing players with insights and information regarding which are the very best. Whether you enjoy Texas Hold'em, Omaha, or Stud or are a micro, medium or high stakes player, we've found various tablet poker sites that we know you'll want to check out. You may be interested in buying a tablet for playing online poker on. If so, you'll want to consider some of the most popular brands, as they often have the most to offer players when it comes to connectivity and versatility. CardsChat.com has assessed the leading tablets poker players should investigate. There are pros and cons for each of those that we feature. The iPad has been out since 2010 and over time has become known for its excellent graphics and app support. This tablet is ideal for playing at poker sites online because it's widely accepted, has a large screen and Retina displays. 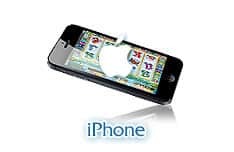 It's an iOS-based device produced by Apple, and online poker games can be accessed in one of two ways while using the device. Instant access is available at some casinos through the Safari web browser, and real money poker-specific apps can be downloaded for convenient access on the device. A wide range of Apple iPads have been released since 2010, and each subsequent version is more powerful, has richer graphics and has more features to offer. The iPad Air is one of the thinnest tablets offered today, but still offers the power to play games smoothly. 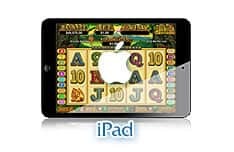 The iPad Mini makes casino gaming even more portable while still offering a top-notch experience. If you purchase an iPad, or you already have one, you have one of the best devices for enjoying most mobile poker gaming available today. Many potential tablet online poker players consider the Kindle Fire when first looking into these devices. 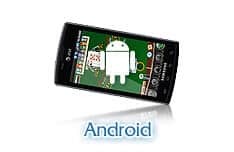 This is an Android-based device that allows online poker tablet players to enjoy sites that offer Flash or HTML5 versions of their sites for real money. It's important to note two things about this tablet. First, it uses a specific browser, Silk, which does not always allow players to connect successfully with rooms. In addition, you won't find tablet poker apps for the Kindle Fire. This tablet, which was introduced in 2011, has gone through various generations since it was launched. Over the years, the Kindle Fire has seen improvements in terms of its processing speed, memory capability, and quality of animations. Online poker tablet players do like the quality of play they experience on the Kindle Fire. Another Android-based tablet, the Samsung Galaxy, is often high on the list of potential players. This specific tablet does have numerous native real money poker apps that have been developed for it. In addition, Flash instant-play or HTML5 online poker tablet rooms are readily available for those who use the Samsung Galaxy. There are various models from which poker players may choose. These include the most basic model, the Samsung Galaxy Tab E, a version that is more high-end, the Samsung Galaxy Tab A, and the top-shelf version of this tablet, the Samsung Galaxy Tab S2. As it is with any of these devices, tablet poker players find that the top models offer faster processing, richer animations, and more memory. The Tab S2 boasts that it is the thinnest tablet in the world. Those who use this model as tablet for playing online poker find that it is by far the fastest and most versatile. Players who use the Widows-based Microsoft Surface like it as an online poker tablet due to the fact that it can quickly and easily connect with a large number of instant-play sites. Although there are fewer native poker apps for this tablet than there are for some others, it does allow players to access a diverse range of real money sites via its browser. The Microsoft Surface first entered into the market in 2012 and since that time numerous models have been developed, and the tablet has been improved in many ways. All models provide Wi-Fi connectivity, while some also allow cellular access. Depending upon which model you choose, processor speed, storage capacity, and sound and animation quality vary. The top version of the Microsoft Surface, Microsoft Surface Pro, offers online poker tablet players the highest quality in terms of smooth and seamless play, quality of animations and sound, and storage capability. For online poker tablet players, the Google Nexus, which is Android-based, offers a lot of gaming potential. Introduced in 2012, this tablet has a solid number of native apps, while it also allows online poker tablet players to enjoy games at instant-play rooms. The generations include the Google Nexus 7, Google Nexus 9, and Google Nexus 10. The Goggle Nexus 10 affords tablet poker players the very best sound and animations, top processing speeds, and most storage. Poker players like this tablet as it allows for seamless real money play, and it easily connects with some of the most popular and busiest online poker rooms around. If you're a player that's looking for reliability, then the Google Nexus is a sound choice. At CardsChat.com, we've discovered that online tablet poker players enjoy play on their devices for various reasons. Tablets are portable and lightweight, and, yet they offer a much larger display and better sound than phones. Poker on a tablet device play provides players with instant connectivity through a Wi-Fi or cellular connection. Due to the size of the screen, poker table controls are also a lot easier to utilize when playing on a site rather than on their cellular device. The good news is that more and more real money online poker apps are being provided for tablets. 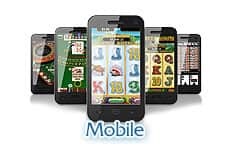 Chances are if the site offers a cellular phone connection, they will also allow tablet poker play too. There are many different online poker apps, easy access through instant-play versions of the room, and many real money sites that continue to upgrade their tablet versions. However, what you can play on a tablet is often limited. This is true especially if you utilize an app. Still, you will often be able to access the poker rooms cashier and other aspects of the site. Also, if you enjoy other types of gaming other than poker, you may be able to connect with the site's associated real money casino or sportsbook if available. Online tablet poker play is available to players everywhere. You may use an iOS driven iPad, the Windows based Microsoft Surface or an Android tablet, including leading models such as the Kindle Fire, Samsung Galaxy, or Google Nexus. At CardsChat.com, we are completely focused on connecting players with great poker apps, which allow you to enjoy poker anytime and from anywhere. Whether or not you can play at an online poker site through your tablet depends on whether or not the specific poker has made its games accessible through this mode of play. Also, it depends partly on what type of tablet you use, as all tablets are not equal in terms of the manner in which they mat access an online poker site. A wide range of tablets may be compatible with your poker room. Usually those tablets that include Flash instant-play or HTML5 can access no-download sites, while rooms that have developed apps for specific operating systems may be available to you through your tablet. The most popular tablets for online poker play are the Samsung Galaxy, Kindle Fire, and Google Nexus, which Android-based models; the Microsoft Surface, which is a Windows device, and the iPad, which is an iOS device. 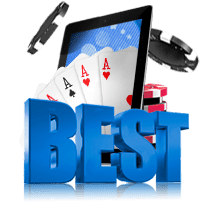 You can locate the best online tablet poker rooms on this page, as our experienced and knowledgeable staff has taken the time to survey, test, and analyze a long list of the leading sites. In doing so, we have considered the amount of traffic and percentage or fish at each room, the safety and security of the site, and the range of games, stakes, and promotions offered. Using this criteria, we have ranked each poker room for tablet play and offer our list of the best options to you. Whether or not you utilize a site directly or access play through an app depends upon what the room is offering and whether or not your tablet can take advantage of the manner in which the online poker site provides access to the games. If there is an instant-play version of your poker room, then chances are you can play at it by using your tablet. If the site has developed a real money tablet poker app that is compatible with your device then that may allow you to access various types of games and features. Whether you connect to your online card room through a data link or your Wi-Fi should not affect play, as long as your connection is strong. Using your data plan to play online poker can be expensive, especially if you like to play for long periods of time. Thus, playing through a secure Wi-Fi connection is recommended. The staff at CardsChat.com has found that playing poker on a tablet offers many benefits. We prefer it over playing on a mobile phone as the larger tablet screen makes betting, raising, and folding a lot easier. Also, we prefer tablet poker play more than we do computer play, as the device is so much more portable and lightweight. Yes, it is safe to play online poker on your tablet as long as you have installed anti-virus software and you're using a secure Internet or data connection.